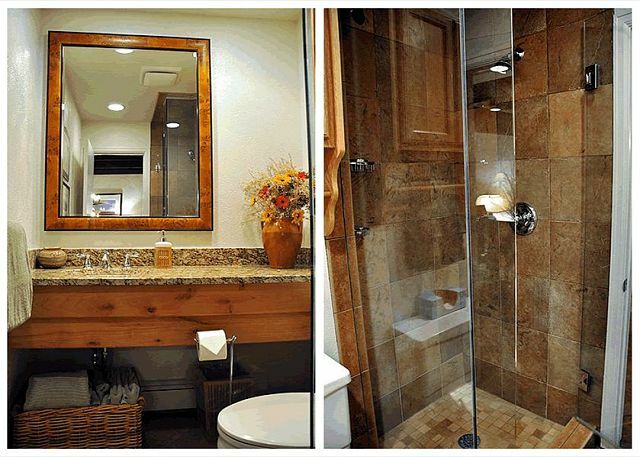 Remodeled 3 Bedroom Townhome #22 in Convenient West Vail. 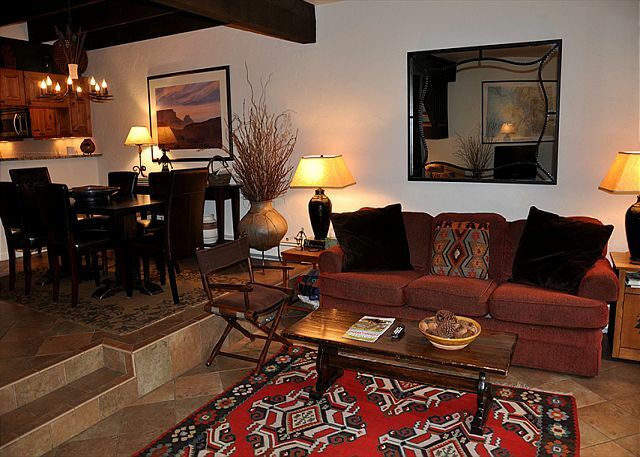 Managed by Gore Creek Properties, this is a lovely 3 bedroom + loft townhome in West Vail with 2 bathrooms and community hot tub + summer pool access. 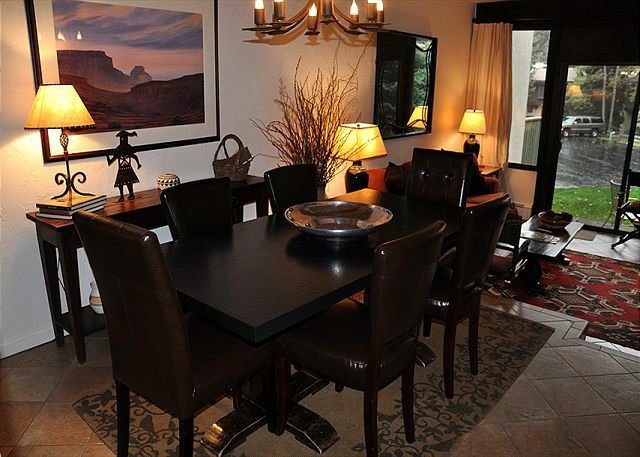 The home has a new kitchen with granite counters and a dining table that can seat 6 guests. 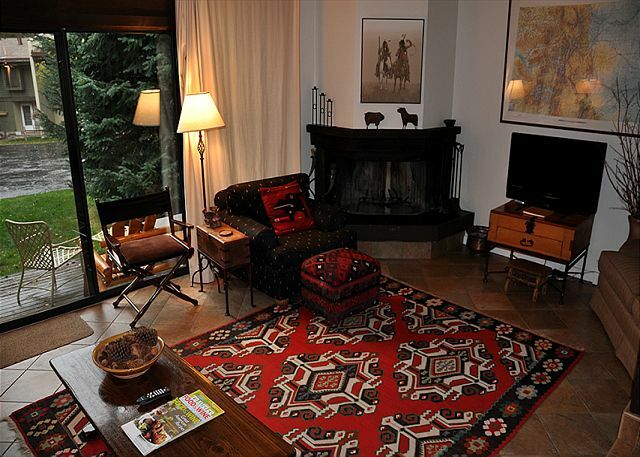 The comfortable living room has a wood burning fireplace. Firewood will be provided during the winter season. 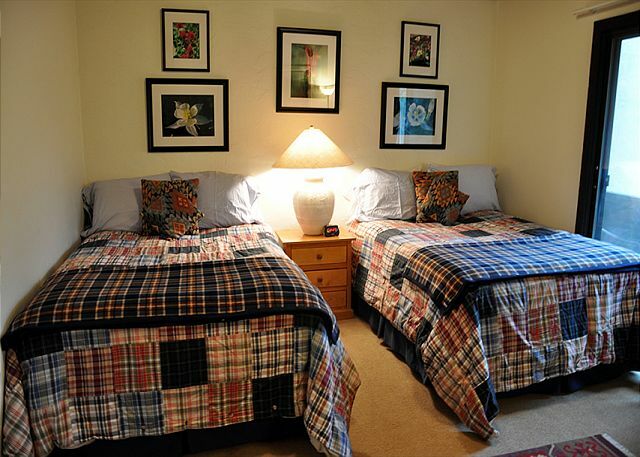 Two of the bedrooms have two double beds in each and the third bedroom has a bunk bed. 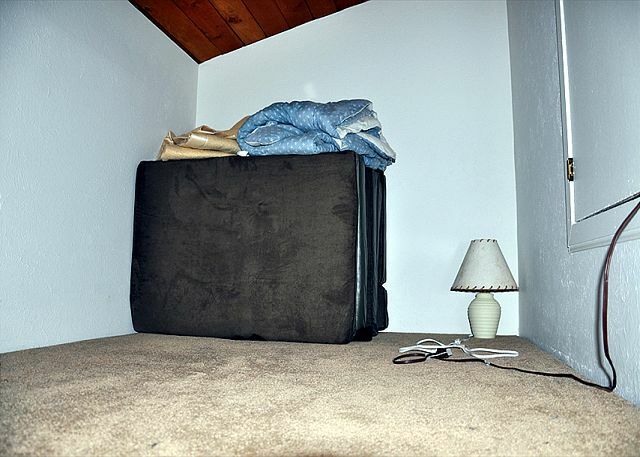 The loft has a single fold out mattress. 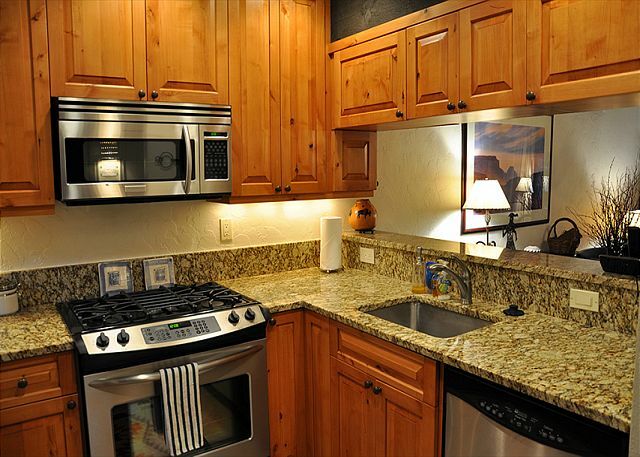 The townhome complex is in West Vail on the Gore Creek and is close to all the shops and restaurants that West Vail has to offer and is only a short 2 mile free bus ride into Lionshead and 3 miles into Vail. The bus stop is right outside the complex and it runs every 30 minutes during the ski season. This house has free wireless internet available. The property does not allow any pets and is NON SMOKING. Every December in Unit 22! We travel to Vail every December sine 1990; always stay at Ptarmigan condos. We enjoyed our stay thouroughly! Clean and modern, we found every amenity needed. Property management was very helpful and nice. This location is perfect, it’s about a 5 minute car ride to Lionshead, and there is a bus stop at the end of the complex. Would stay here again! We enjoyed our stay in this condo. It is very spacious, with the laundry room being a great stop for all the gear. Bedrooms are large, and it was so nice to have two full bathrooms. The snow at Vail was not ideal, so we only used the shuttle once, but the stop is close. Overall a great week, and great condo. Overall great rental experience. Ptarmigan is a long time favorite in West Vail for proximity to grocery shopping and other restaurants. Condo in good shape and beds very comfortable. * Lockbox would be nice to avoid stopping at realty office to p/u and drop off keys. Top tips: use the Cascade Lift for easiest shuttle access at beginning and end of day and avoid traipsing through Lionshead. The new Mexican restaurant across the highway is great! We have stayed in Unit 22 many times, and always enjoy the 'comforts of home'. A perfect family ski vacation. Condo was very nice and comfortable for my entire family. Check in was easy and staff was very friendly. Appreciated having the cleaning service after our stay and not having a long list of cleaning to do ourselves. Location was also super convenient. Only wished we could have stayed longer. Thanks! We have stayed at Ptarmigan for 9 years now and love it! This is the first year we have used Gore Creek Properties and we had no troubles whatsoever!! We look forward to booking at Ptarmigan for many years to come. Can't complain about anything about this property. So close to the bus to get up on the hill. Close enough to food shops. Place was nice and cozy. Would highly recommend. Only thing that would make this place outstanding is an update to TV situation (We were there over NFL playoffs so would've liked something bigger than 32" in living room...and of the 3 bedrooms there's only a 20" CRT in one of them). Other than that great place for price. Bus to slopes is only a 3 minute walk tops. Hot tub is around back by the pool which was nice for soaking after a long day skiing.